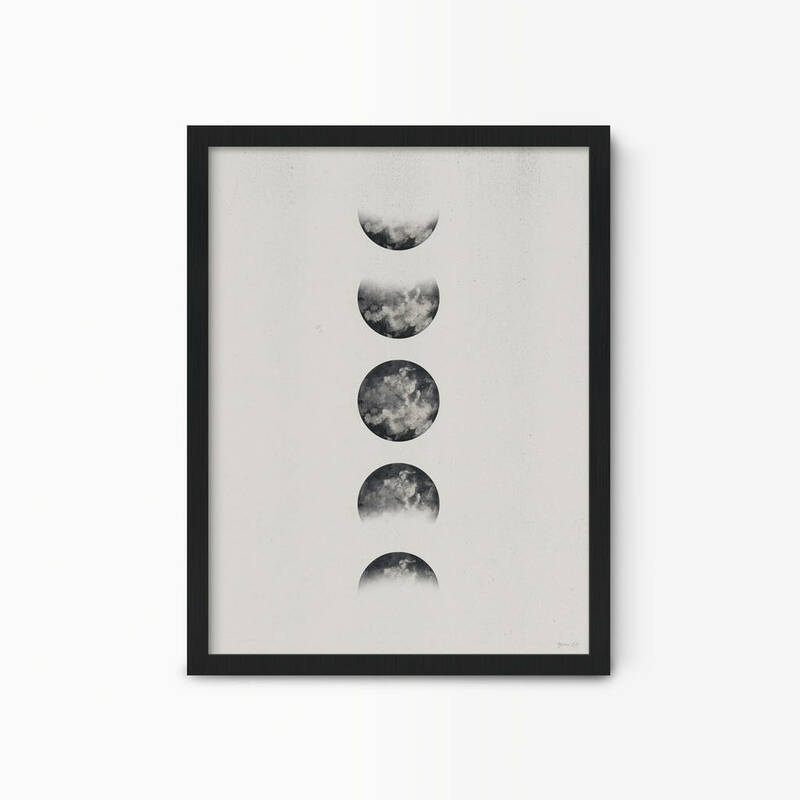 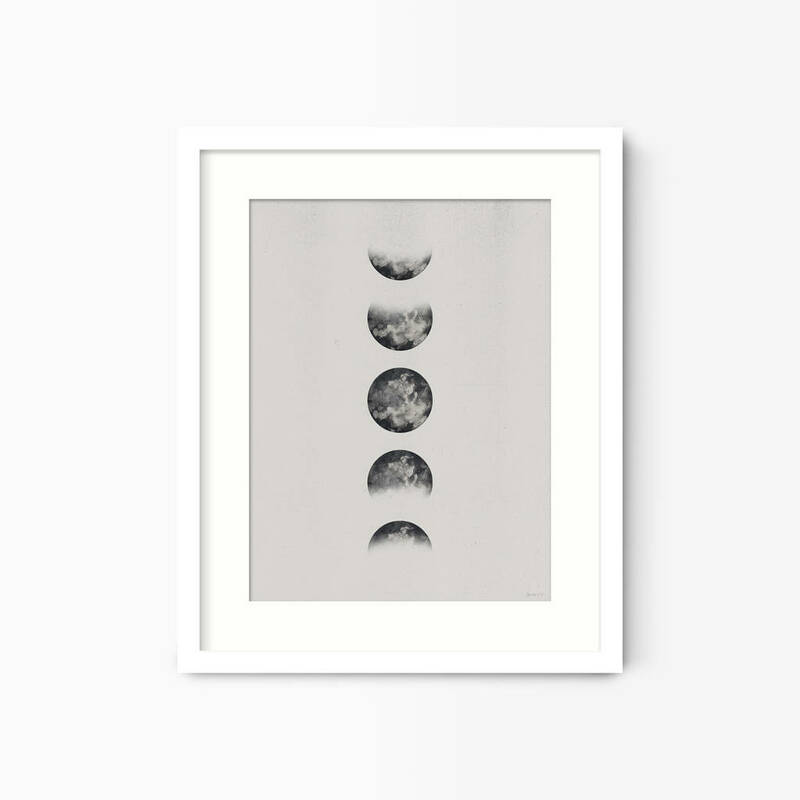 A monochrome luna phases moon print, great for any boho inspired space. 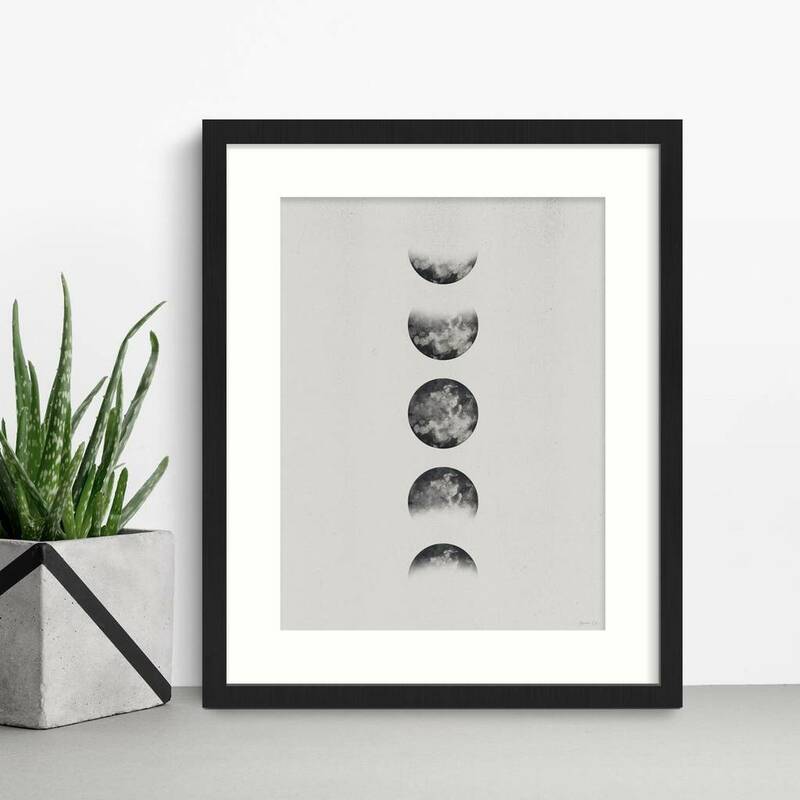 This digitally painted bohemian print features different phases of the moon inverted in black against a neutral grey backdrop. 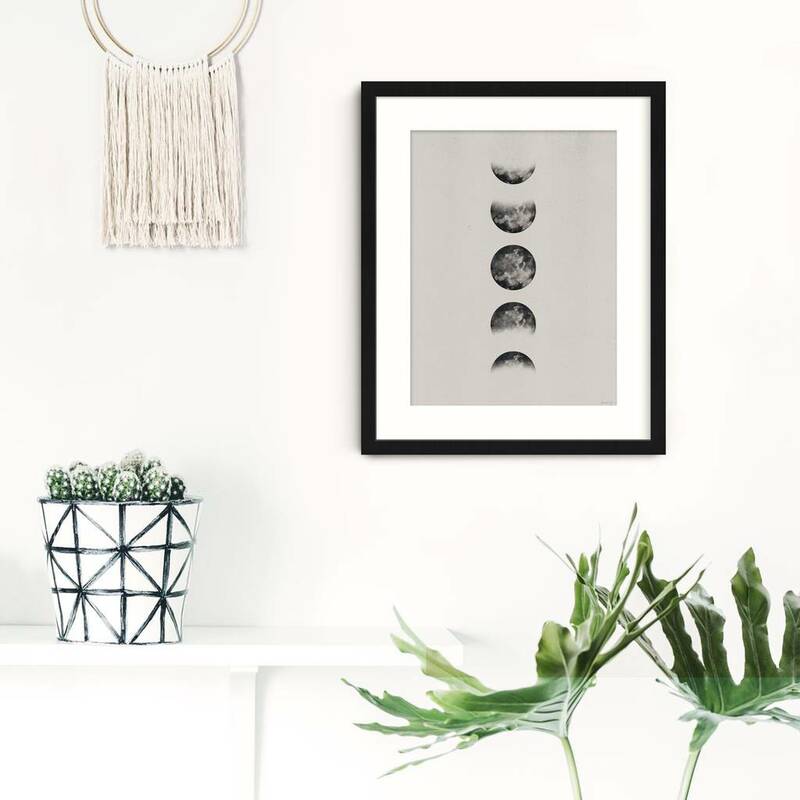 The perfect modern wall art gift for any boho loving travellers. 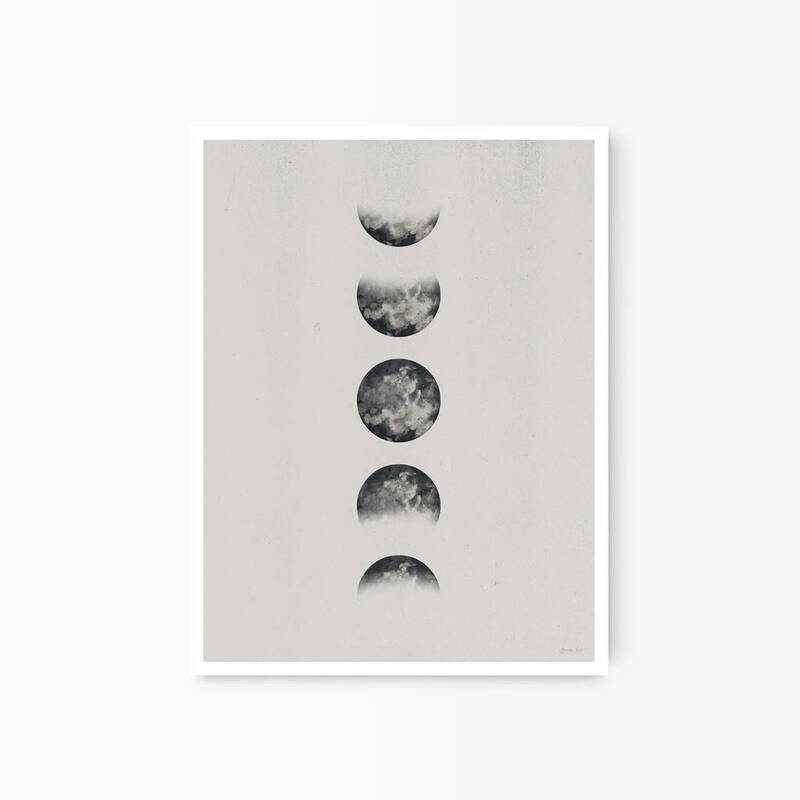 This cool print would look great in a bedroom, living room or a room with a Scandinavian feel.